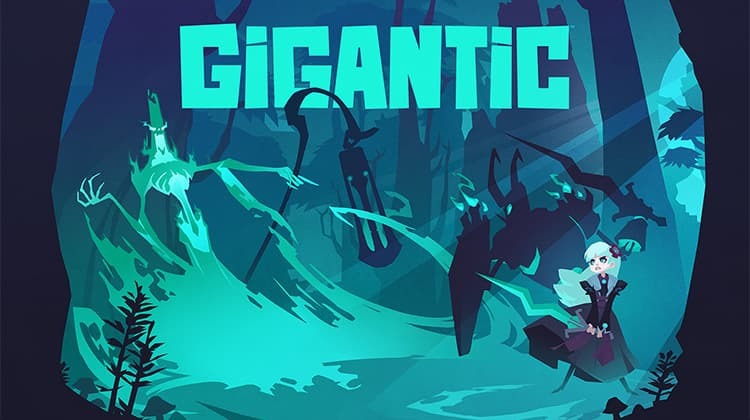 Perfect World Entertainment and Motiga have released Season of Souls, the October update for Gigantic. 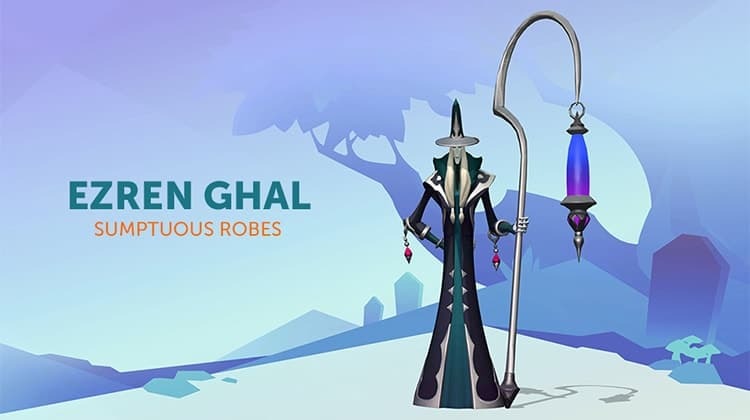 The latest release introduces Gigantic’s newest Hero, Ezren Ghal – a mid-ranged caster who steals the souls of his enemies to restore life and cast powerful spells. 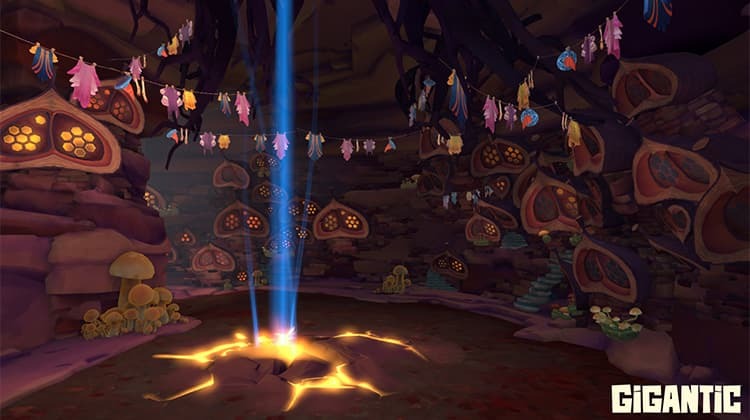 Along with Ezren Ghal, Season of Souls brings a ton of new features, matchmaking improvements, and fixes based on the feedback you’ve provided since launch. 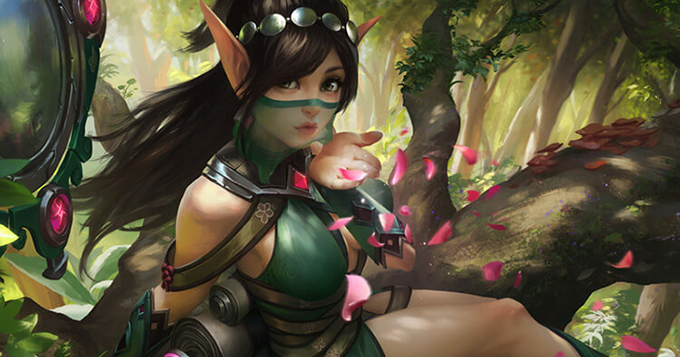 For this update, the biggest additions include the new Ember Grove battleground, player profile icons, Hero Confirm text chat, and voice over interactions. This necromancer manipulates the fate of his opponents by stealing souls in combat, which he in turn uses against them. He is always seeking more efficient and powerful ways of utilizing soul energy. In these efforts, he always found interest in Aisling’s sword – housing her father’s spirit, Sir Cador. 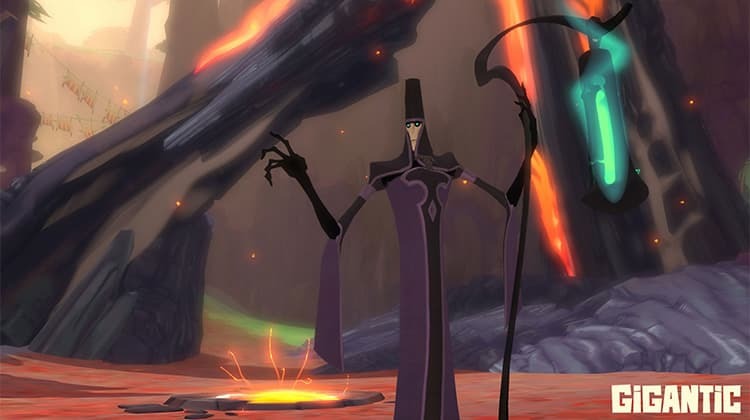 Ezren Ghal sees conflicts between houses as an opportunity to experiment with his powers and techniques; each battle is a “harvest” where he can rip out the souls of his enemies. LMB/RT // SOUL CALIBER: Medium range attack that deals modest damage. Gain 1 Soul and 50hp on hit. (Maximum 3 Souls) Souls start to dissipate if not gained for 5s. Q/LB // SPECTRAL FORM: 35% damage reduction. Can pass through allies and enemies. Deals damage to enemies around you. Using skills ends Spectral Form early. E/RB // WELL OF SOULS: Targeted area: After a short delay, deals damage and immobilizes enemies. F/LS+RS // SOUL BLAST: Steal health and Souls from nearby enemies. After 2s, perform a final blast in a radius around you that deals heavy damage. 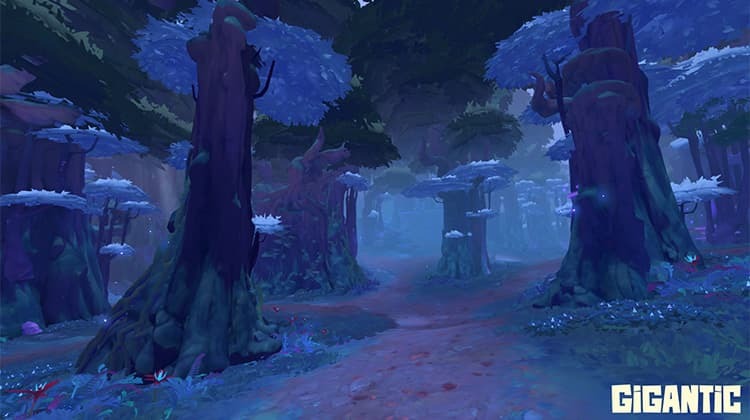 Enter the highly anticipated Ember Grove battleground! 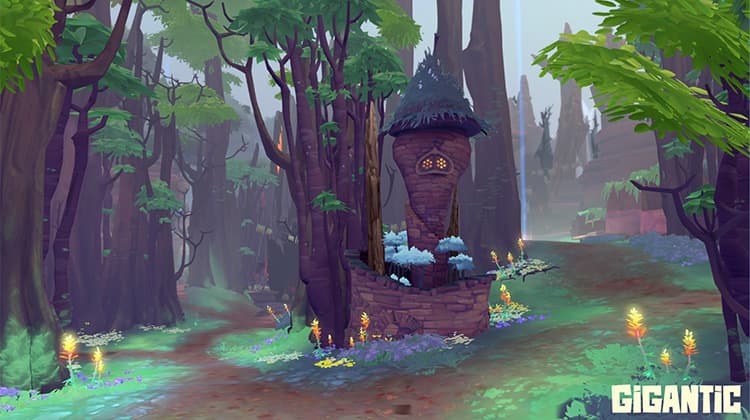 A dense and mysterious forest, this new map is inhabited by towering timbers, magical mushrooms, and bugwitch bungalows. 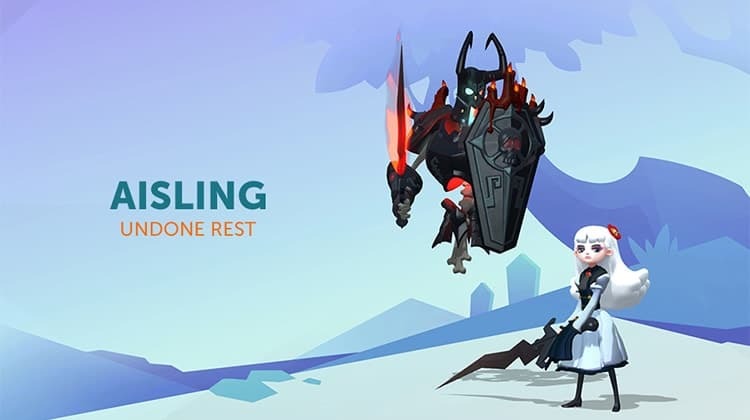 Players will fight over two friendly points, two enemy points, two neutral points, and one enemy-only point with pathways that funnel the action! The rocky side lanes offer much verticality, as well as nooks and crannies to outmaneuver other players. Battle to maintain control of contested ground and fight the enemy for dominance over the ancient remains of a massive tree that creates an arena in the heart of the woods. Along with the hero, Ezren Ghal also releases with his first new skins, available now in the Shop! Pick up Opulent Robes, Lavish Robes, and Sumptuous Robes skins today! 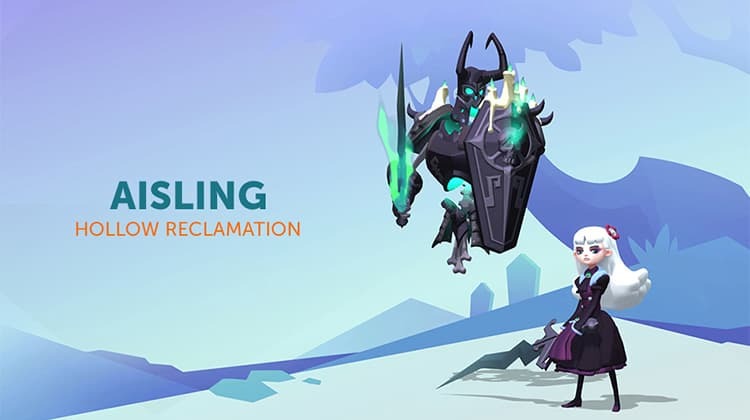 But it wouldn’t be the October update without the long awaited Aisling Hollow Reclamation skin! Also available in Undone Rest and Dark Rites colors, now in the Shop! Fixed a bug that allowed HK to perform unlimited S.W.A.R.Ms. Changed Kill Shot to a hitscan attack from a projectile attack. Removed Refreshing Gore and replaced it with Goring Toss. 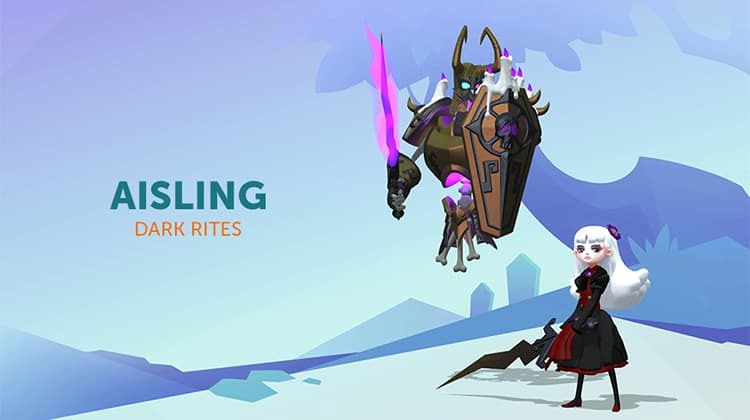 Goring Toss: Launching enemies much higher. More Gore has swapped places with Goring Toss. Base speed boost decreased to 20% from 25%. Long Running now doubles the speed boost instead of giving stamina. 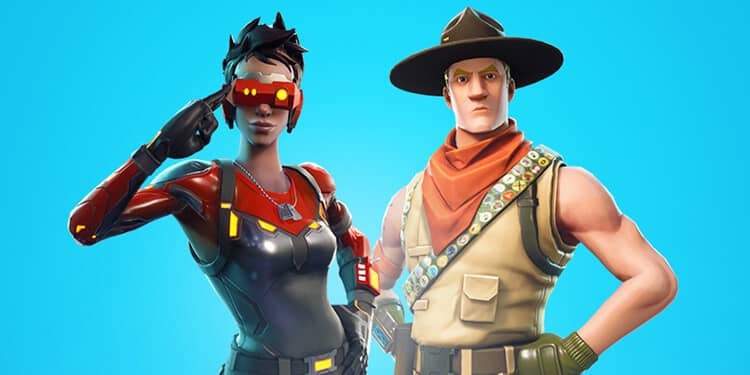 Major Beef no longer removes the speed boost from Bull Rush. Health buff decreased to 300 from 400. Updated Mighty Yawp description for clarification. Removed the extra Focus generation. Fixed the description on Bolt of Renewal to correctly say it reduces cooldowns by 3s. Bolt of Renewal: Upon hitting with Omega Bolt, all other skill cooldowns are reduced by 3s. Added VFX to indicate friendly (green) and enemy (red) Vortex. Fixed a bug that caused Reverse Polarity to not reflect projectiles properly. Adjusted right path upgrades to now provide benefits to all allies in the area, but does not affect self. Seek Shelter: Allies near your destination gain armor. (+25, 3s) Does not affect self. Gimme Shelter: Allies near your destination also gain projectile deflection. Does not affect self. Go Go Go: Allies near your destination also gain speed boost. (25%, 3s) Does not affect self. Reduced Focus generation across all skills. Fixed a bug where taking Expert Shuffler would decrease the rate of fire on the first Judgement combo. Reduced Focus reveal damage for targets above 50% health to 200 from 400. Damage for targets below 50% remains the same. Death Dealer: Rapidly toss Death cards. Once completed, reveal all cards dealt. Deals 200 damage and +400/600/1000 if target is below 50% health. Lasting Effects poison damage has been halved. Lasting Effects: Poison duration increased by 3s but damage is reduced by half. ​Smear now applies Purged! (removes buffs) and no longer increases Juju Fruit cooldown. Base health reduced to 1100 from 1300. Rocked to the Core now inflicts cracked armor instead of broken armor. Base cooldown increased to 15s from 12s. Seismic Activity now increases cooldown by 5s. Seismic Activity: Burrow to the targeted location and attack in a radius. Pushes enemies. Increases cooldown by 5s. Give Me The Slowdown slow duration reduced to 2s from 3s. Mineral Heavy daze duration reduced to .5s from 1s. Fixed a bug that allowed Rutger to dodge out of Rock and Roll. Replaced Bloody Minded with Hardened Resolve. Removed damage reduction. Added hit reaction immunity. Now deals damage to enemies pushed. 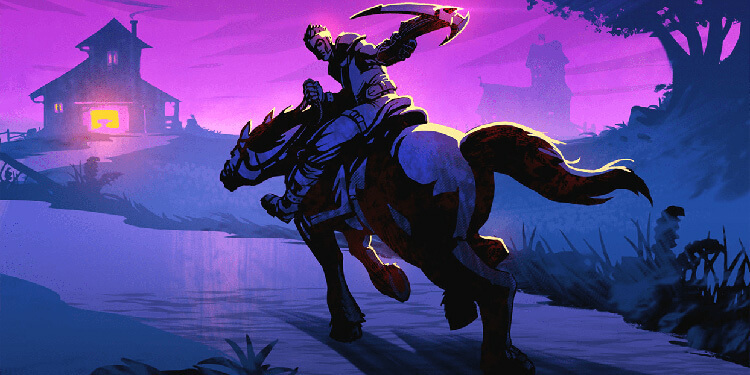 Charge Forth: Rush forward quickly, pushing enemies you hit. Cannot be pushed, interrupted, launched, stunned, or pulled during charge. Irresistible Charge now gives front damage reduction instead of armor. No longer gives hit reaction immunity (since it’s been added to the base skill). Irresistible Charge: Gain +50% front damage reduction during charge. Replaced Throwback Attack with Launch Attack. Launch Attack: On hit, briefly stuns enemies then launches them. Slightly increased the size of the hit area. Increased travel distance after landing by about 60%. Improved reliability when hitting enemies. Bitter Medicine now applies Purged! to enemies instead of Interrupted!. Longshot charged shots no longer have damage falloff. Longshot: Powered-up shots fly faster and have no damage falloff. Savor the Sorrow now heals for 75hp per enemy hit. Savor the Sorrow: Projectile heals 75hp per enemy hit.